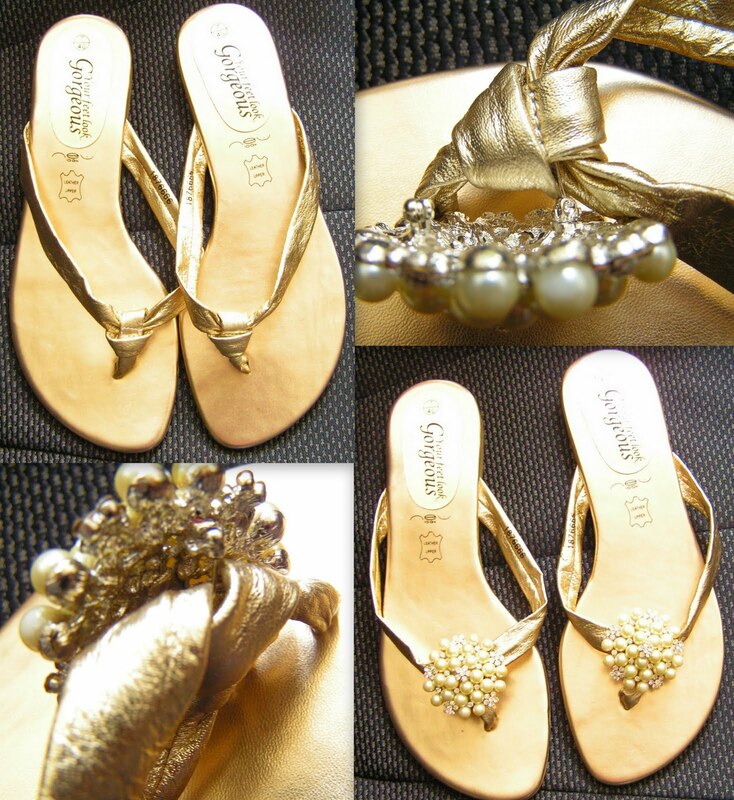 The photos left show the stages of how these sandals can easily be customised with brooches to make the lovely sandals look fabulous. For this pair of shoes, two matching brooches were used but you can also use a pair of large flat backed clip on earrings and clip through the knot. In all cases, it is advisable to add a couple of stitches around the rollover clasp or use glue instead to secure the accessory firmly in place.